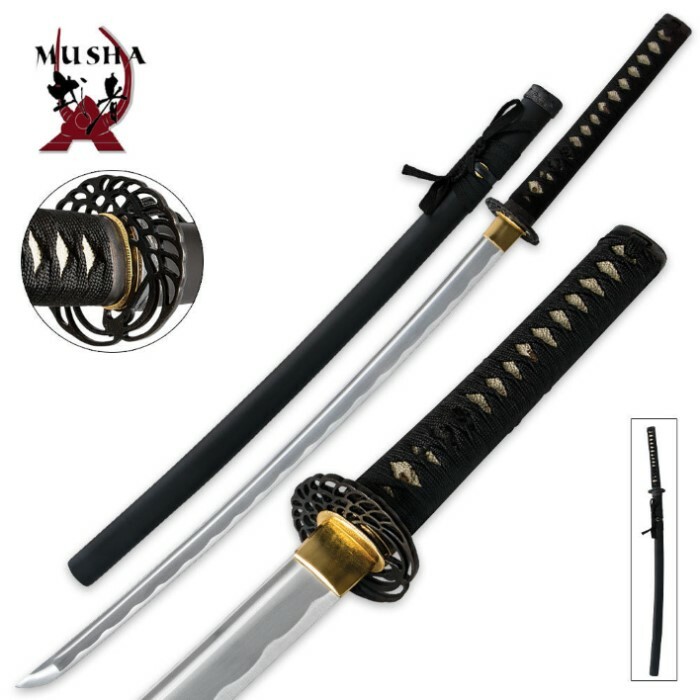 Samurai Special Full-Tang Crane Katana Sword | BUDK.com - Knives & Swords At The Lowest Prices! Designed by Musha as a more economical sword, the Crane Katana from the Samurai Special Series is a full-tang, battle ready sword. 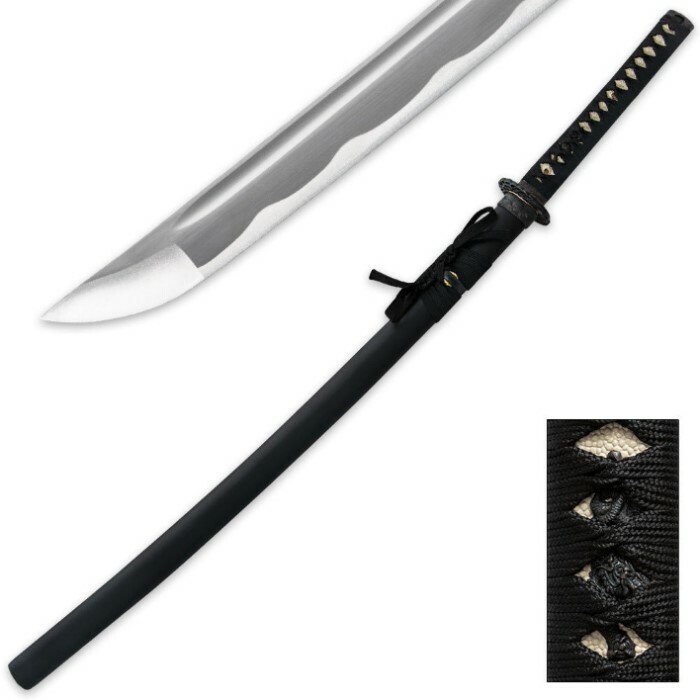 Constructed with a thick, handmade, high carbon steel blade, this sword is great for cutting, training, and any other use you can find. The unique crane shaped tsuba as well as all the other fittings are constructed of black finished metal. The hardwood handle is wrapped with black cotton cord. 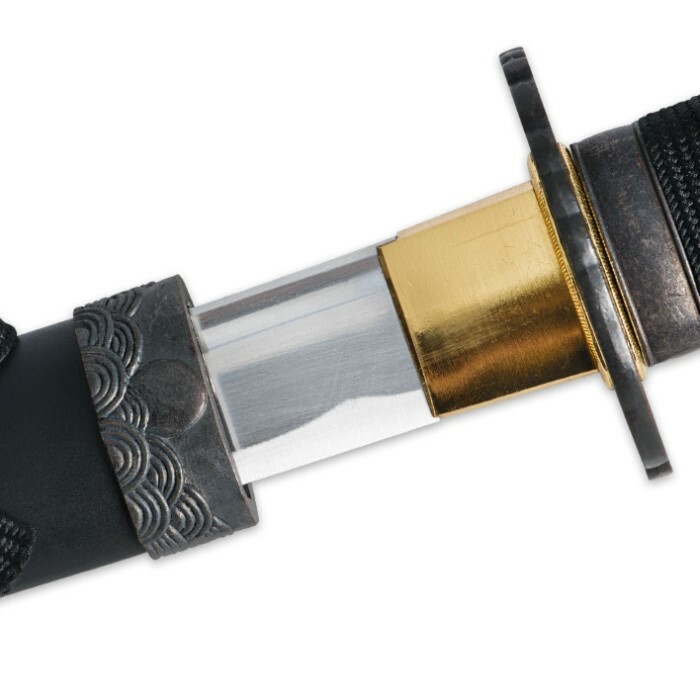 The black matte scabbard features a metal mouth and an engraved design to complete the look of this sword.